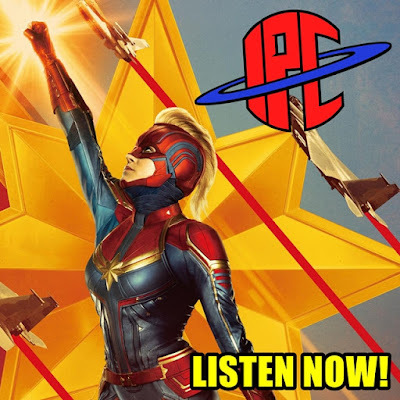 On this episode Ben and Zac take to reviewing the newest installment in the ever growing Marvel Cinematic Universe, Captain Marvel. They start with their spoiler-free thoughts, then dive into discuss many aspects of the film and breaking down their likes and gripes. The guys share their opinions on the story, the characters, the action, the comedy, and the actor's performances. They also don't miss discussing Captain Marvel's epic 90's references; the big ones, the hidden ones, and the ones that could have been. Furthermore, they take some time to address the new Stranger Things 3 trailer, a new tease from the set of Star Wars: The Mandalorian, and they also react live to a brand new Avengers: Endgame TV spot. And listen all the way to the end as #BBQWatch gets the March Madness treatment. This is a can't miss episode!